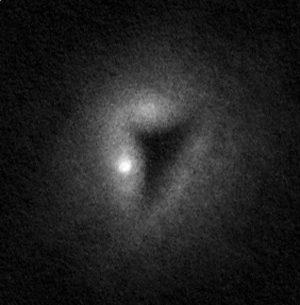 NGC 1999 drawing inverted into positive. NGC 1999 also known as the Keyhole Nebula is a reflexion nebula in the Orion Molecular Cloud south of the Orion Nebula. 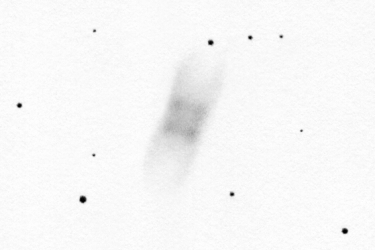 I gathered some info on NGC 1999 only after I processed my drawing and I realized that this object is more interesting than I had thought. 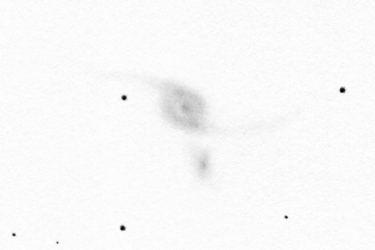 According to a 2010 paper the dark triangular spot in the middle of the nebula is not a globule, a dense dark nebula in which a star is being born right now but It is a real hole. There is simply no nebula there. 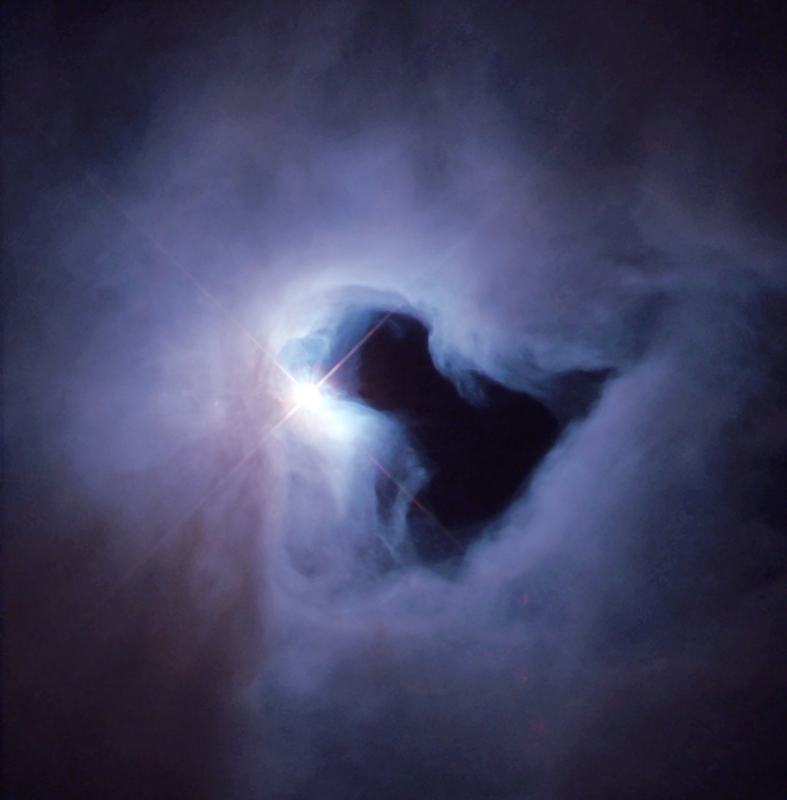 This hole was probably produced by the star V380 Orionis that makes the nebula shine. 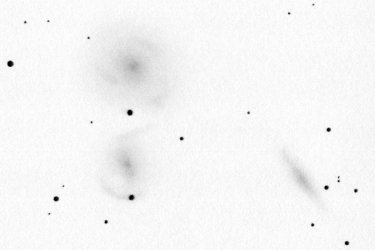 After the first night's drawing I took a look at photos of NGC 1999 and I saw that there are more interesting objects in the neighborhood: Herbig-Haro 1 and 2 can be found here. These are shock fronts in the interstellar medium produced by the jets of a young stellar object. 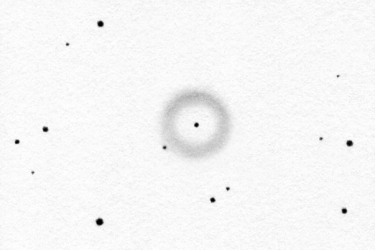 There are not so many such objects in the sky that are within reach of amateur telescopes. 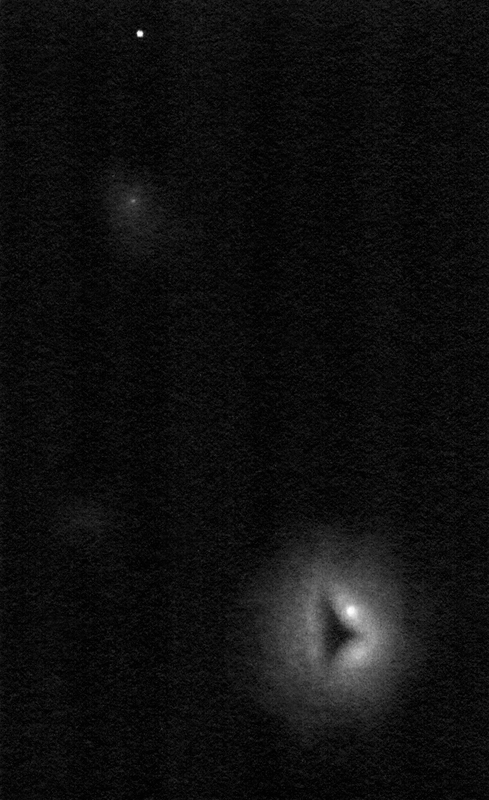 So I had to take a better look at the field around NGC 1999. The opportunity came between Christmas and New Year's Eve in 2016. We were at Ágasvár with a couple of good friends and shared our passion for the night sky. 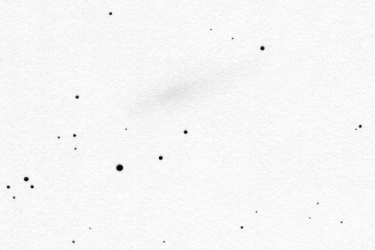 HH 2 was relatively easy to see though it is not bright at all: a faint starlike spot is surrounded by a faint asymmetric elongated nebulosity. 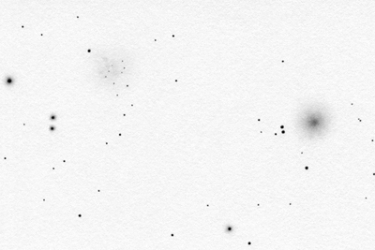 HH 1 is extremely faint. It is absolutely at the edge of visibility. I am not sure if I had seen it. The Hubble image (Hubble Space Telescope, HST) of NGC 1999 can be seen on the left. I rotated and cropped my inverted drawing so that they can be compared directly. Several beautiful amateur astrophotos have been taken of this area. 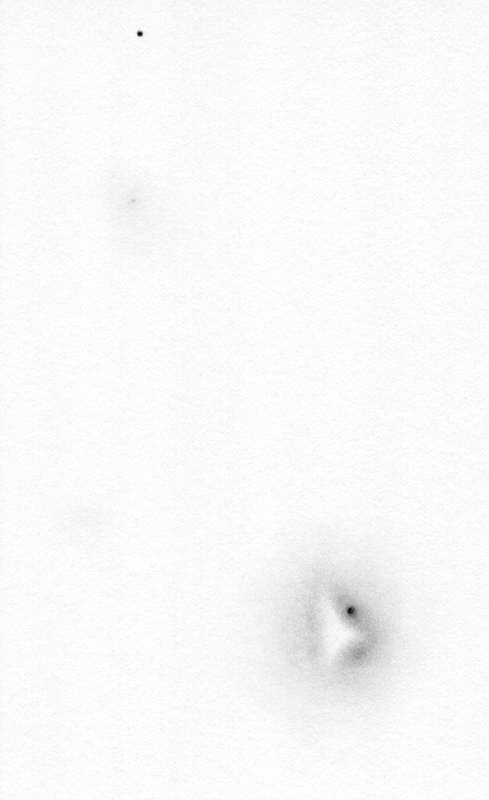 For example László Francsics's photo and the image by the Capella Observatory. The latter page features an animation as well that shows the motion of the bow shocks of Herbig-Haro 1-2.